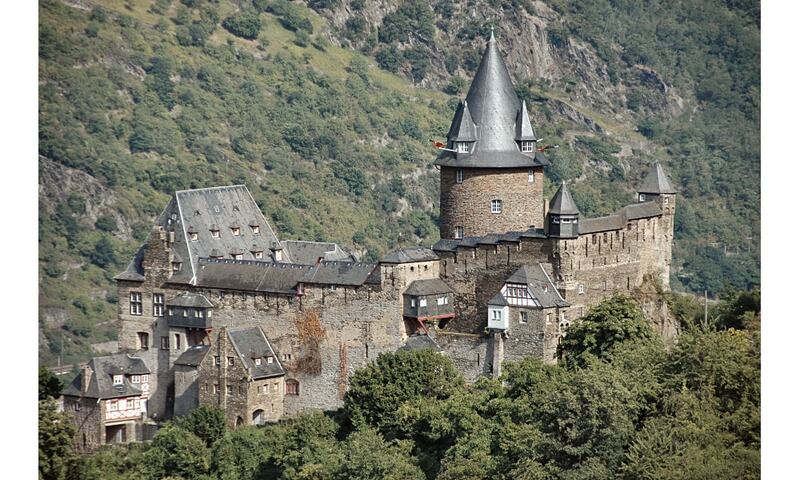 Stahleck Castle is a 12th-century fortified castle in the Upper Middle Rhine Valley. It stands on a crag approximately 160 metres above sea level on the left bank of the Rhine at the mouth of the Steeg valley. The castle was built on the orders of the Archbishop of Cologne with a water-filled partial moat, a rarity in Germany. It was destroyed in the late 17th century but rebuilt in the 20th and is now a hostel. Its name means "impregnable castle on a crag".